I’ve fallen in love with it. Flour, water, salt, and little living things found in the air. The simplicity yet beautiful mystery of it all blows me away every time I take a steaming, fragrant loaf out of the oven. Most people don’t even realize that sourdough can go far beyond loaves of bread. Have you tried sourdough pizza crust? What about sourdough pancakes? OH… and the waffles. The forms and flavors that a little jar of flour and water can take on is endless. Yes, most of us can agree that the taste and smell of sourdough are unbeatable, but there’s so much more to this delectable bread than meets the eye, or nose, or taste buds. Sourdough bread is actually, as we know it, the original leavened bread. We didn’t always have yeast that we could buy in a package at the store. Instead, a prolonged fermentation method was used in which bacteria and yeast from the air caused dough to rise. I’m trying to imagine how in the world someone figured out that leaving flour and water out in the open could make really good bread. Major props to you. 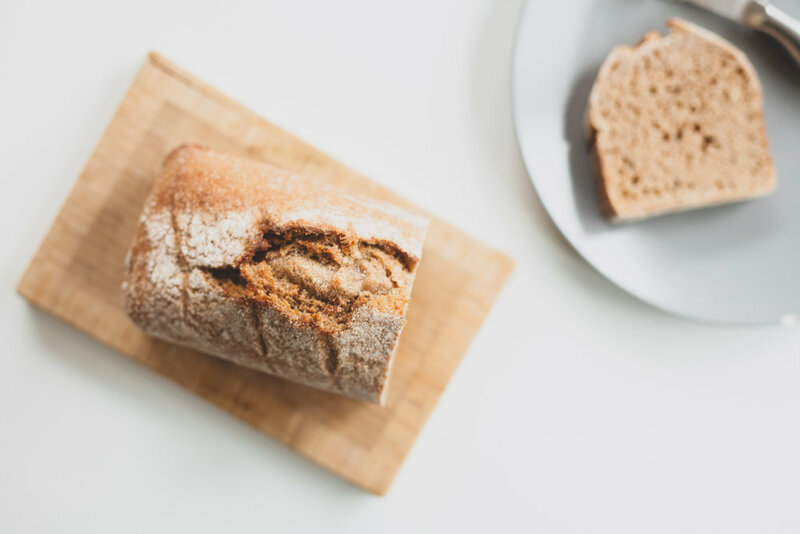 What I truly love about sourdough is not only the art and history behind it, but the fact that it is actually easier for your body to digest than other forms of bread. The prolonged fermentation process gives your body a huge head start in the digestion of grains. Grains contain an antinutrient called phytic acid, which binds to important minerals, blocking their absorption. 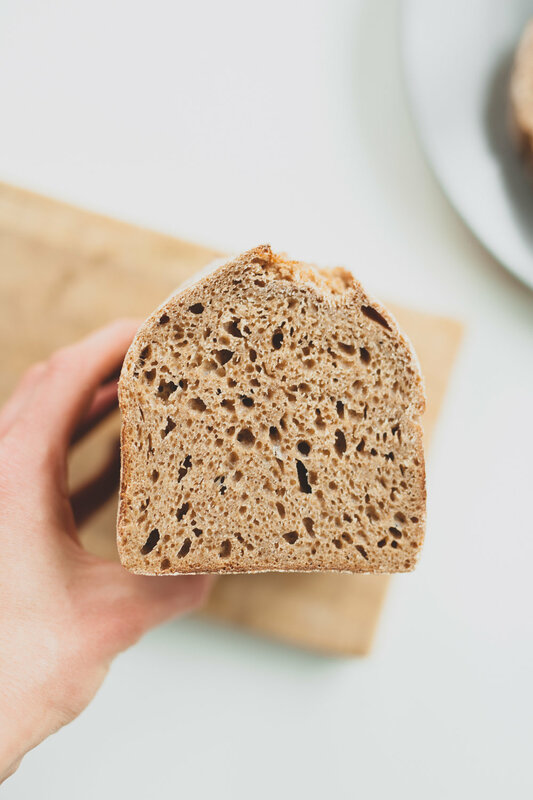 Studies show that the acidification of dough during sourdough fermentation significantly breaks down phytic acid, allowing the enzymes in your stomach to properly do their job. Nutrients such as calcium, magnesium, iron and zinc become more readily available for your body. Many people that are gluten intolerant find that they can consume sourdough bread because of this process. Sourdough is also a prebiotic, which helps support the gut microbiome. I went a step further in increasing the nutrient availability in my sourdough bread by using sprouted grains. Sprouted grains, as the name implies, are whole grain seeds that have been allowed to sprout but not fully grow into plants yet. The sprouting of a grain increases the amount of protein and nutrients available in the grain. Sprouting also lowers levels of phytic acid, making nutrients more available. I have a challenge for you. Look at the ingredient list on the next loaf of bread you buy. If it's full of words that you don't understand, maybe don't buy it this time. Instead, look for bread that contains words that you know and understand in the ingredient list. Most sourdough breads have minimal ingredients: flour, water, sourdough starter, salt. NO preservatives. NO sugar. NO weird words that you can't pronounce. Food for Life makes a wonderful bread called Ezekiel 4:9 bread that is found in most stores. The ingredient list? Full of real food. If you want to go a step further and start making your own sourdough bread, I will be posting a blog post on how I do it tomorrow! I'm still learning, so maybe you want to learn with me :) ask around and see if anyone you know has a starter they can share with you! You can also make your own starter (there are tons of tutorials online), or purchase one at a store or online.